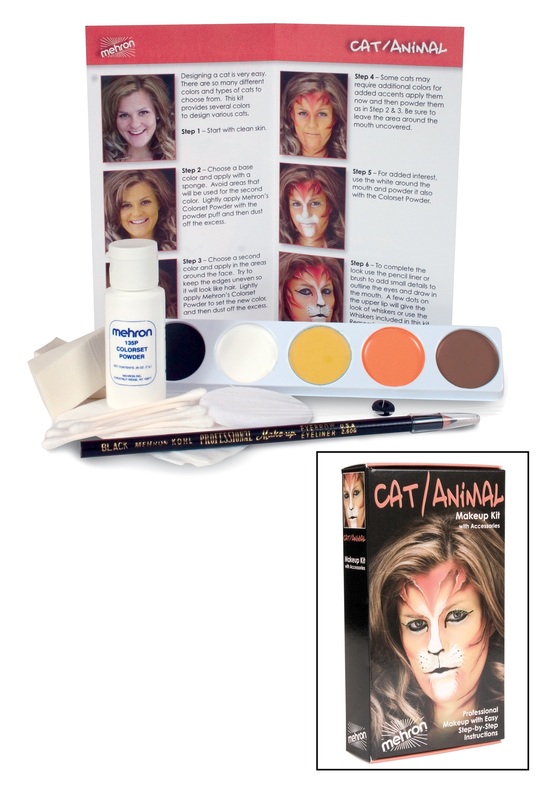 Complete your wild animal costume with this cat makeup kit! Great for adults and children, this kit includes step-by-step instructions, five color makeup palette (black, white, dark brown, grey and light brown), makeup remover cloth, full size pencil liner, colorset setting powder, full size makeup brush, non-latex foam wedge, powder puff and whiskers. Your sure to be any cat's meow with this creative makeup kit!